Aids English literature GCSE and A Level students in their coursework projects and study of set texts by increasing understanding and enjoyment of texts. The book is designed to provide imaginative responses, and should stimulate independent critical appraisal of Forster's "Howard's End". Part of the "Brodie's Notes" series, this book aids English literature GCSE and A-Level students in their coursework projects and study of set texts by increasing understanding and enjoyment of the books. 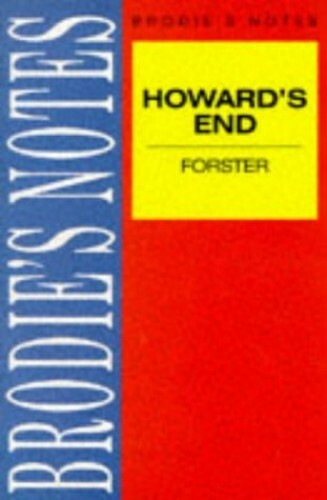 It is designed to provide imaginative responses, and should help to stimulate independent critical appraisal of Forster's "Howard's End". Other features include: background to the work; summaries of the text; critical commentaries; analysis of characterization, style, structure, setting and themes; and sample questions for guidelines.